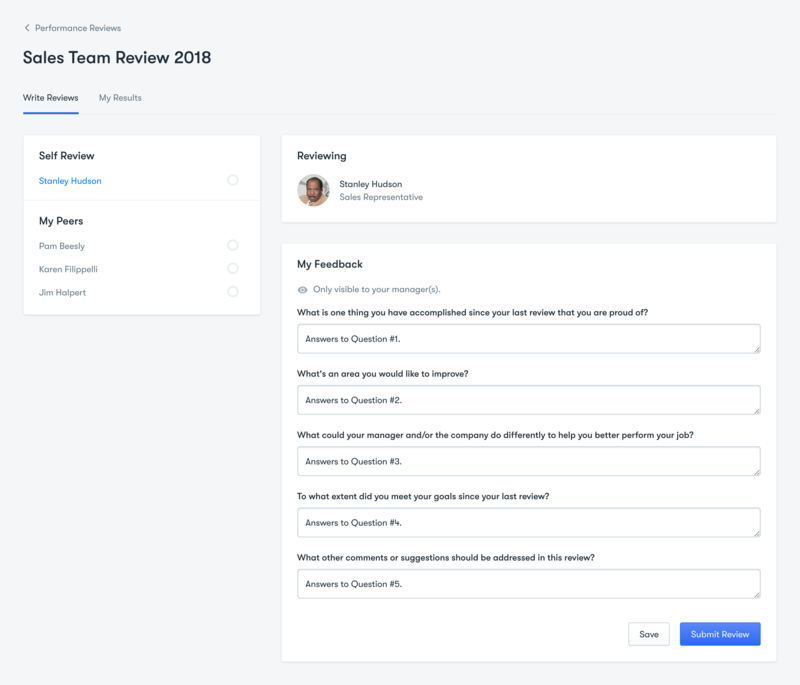 When an employee is part of the Review and needs to complete a self-review, they will see a feedback questionnaire available to them under the Performance module. They will be able to provide their answers, save them to a draft if necessary, and submit it for a review to their manager. They will also see a list of any other outstanding reviews they need to complete as part of this Review on the left-hand side. For example, a peer review as seen in the screenshot above.